West Texas Talk is an interview program that airs Thursday at 6 pm, and rebroadcasts Friday at 9 am. The program features interviews with community members discussing issues that affect our region, along with upcoming local programs and events. You’ll also hear from local and visiting, artists, musicians, authors, scientists, and other interesting personalities. The program made its debut when the station launched, and as a result, it’s become a repository of hundreds of local profiles. The program is hosted by a revolving list of community members. The theme music for West Texas Talk was composed by Andy Stack. Listeners can sign up for our podcast feed on iTunes. Subscribe today. The 2019 Texas legislative session began last month with the states’ leaders saying they would prioritize the school finance system, maybe even giving teachers an across the board raise. School districts, especially in rural Texas, are paying attention. According to the Texas Education Agency, Texas has more schools in rural areas than any other state…but, when it comes to public policy, big cities can dominate the conversation. So in this series, reporters talked to teachers, administrators and the advocates who support them. We’ll hear about the struggles and successes of rural schools and teachers, and what they say they need from lawmakers in Austin. How Did So Many Migrant Children End Up In Tornillo, And Why Did It Close? As of January 11, there are no longer migrant children being held at a U.S. Health and Human Services facility in Tornillo, Texas. The shelter sprang up last summer and housed mostly minors who crossed the border without parents or adult family members. It received scrutiny as it opened during family separation as a result of the now-reversed “zero-tolerance” policy. The tent city quickly became a flashpoint for critics of the Trump Administration. During Tornillo’s operation, about 6,200 unaccompanied minors were housed at the site over time. While the majority of them have since been released to sponsors, somewhere between 300 to 700 children have been placed in more permanent shelters across the country. 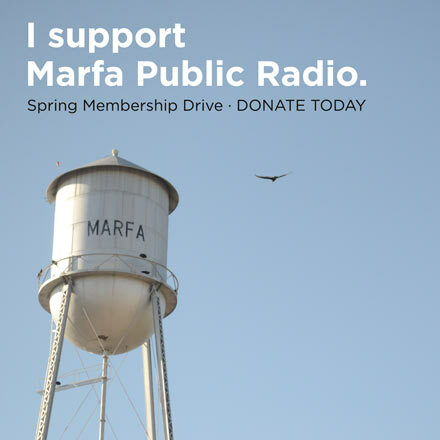 On this episode, Diana Nguyen speaks to Marfa Public Radio reporters Carlos Morales, Sally Beauvais, and El Paso-based journalist Bob Moore about the Tornillo shelter’s opening, closure, and the policies that shaped the significant uptick of children in government custody. On this episode, Ryan Paradiso speaks to Lannan resident Monica Youn about her book, Blackacre, and about Youn’s transition from a lawyer, to a writer. Youn currently teaches poetry at Princeton University and is the author of two other books, Barter and Ignatz. She will read at the Crowley Theater on Sunday, January 20 at 6 pm. On this Edition of West Texas Talk, a conversation with current Lannan Writer-in Residence, Jenny George. George is the author of The Dream of Reason, published by Copper Canyon Press, and also a winner of the “Discovery”/Boston Review Poetry Prize, as well as a recipient of fellowships from The Bread Loaf Writers’ Conference, the MacDowell Colony, and Yaddo. She currently lives in Santa Fe, New Mexico, where she works in social justice philanthropy. On this episode, we’re revisiting a few of our favorite live stories from 2018. Last year, we held workshops all around West Texas and hosted a few events in the Big Bend and the Permian Basin. 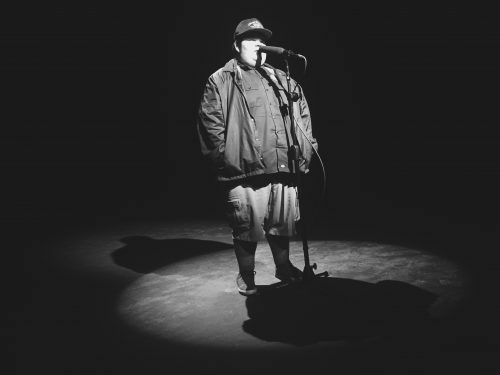 We wanted to highlight some of the storytellers who participated. 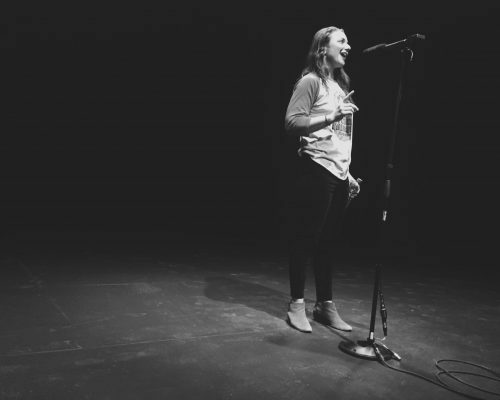 The first story was told this past April at our event “All or Nothing: Stories of Big Risks.” Chloe Gallagher lives in Marfa and is the DJ of the show “Wreck Shop” here at the station. She says when she’s not complaining about the heat in the kitchen at Stellina, she can be found talking to flowers and trying to befriend stray dogs. 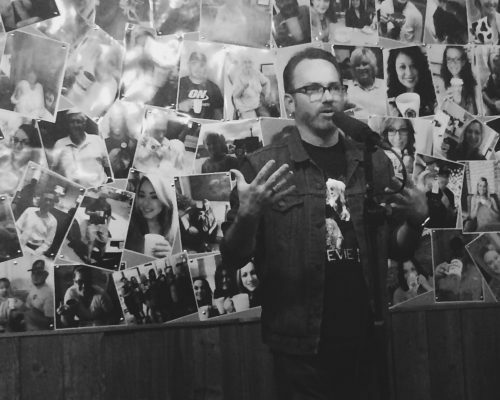 The second story was told at our February event “Kiss and Tell: Live Stories from Midland.” Randy Ham is the executive director at Odessa Arts, and told a story about friendship. Joel Hernandez told the last story at “Kiss and Tell: Live Stories from Marfa.” He’s from Marfa and makes music under the moniker “Kashmir.” You can check out his music here. These monologues, or “advertisements,” are a production of New York-based playwright and director Richard Maxwell. He started “Ads” in 2010, and has produced different versions in communities around the world. Recently, he created a version of the play in Marfa as a Chinati artist-in-residence. The play debuted during Chinati Weekend this past October and included nearly thirty members of the local community. The monologues you’ll hear in this episode are from John Sufficool, Natalie Melendez, Primo Carrasco, Ester Sanchez, Darby Hillman, Eliseo Martinez, Sterry Butcher, and Jim Martinez. Thanks to the participants, Richard Maxwell and the Chinati Foundation for sharing these stories. In August, ten students from around the country came to the station to learn the craft of radio storytelling with the Transom Traveling Workshop. The class was taught by Rob Rosenthal, the lead teacher for the Transom Story Workshop and Matt Largey, the managing editor for Austin’s public radio station KUT. This episode showcases a few of the diverse profiles produced during this week. Stories in this episode were produced by Martin Brusewitz-Hernandez, Aaron Naparstek, and Rachel Templeton. West Texas Wonders: Your Questions About The Marfa Lights, 4-way Stops, Abandoned Buildings, and Marfa Sewage… Answered! 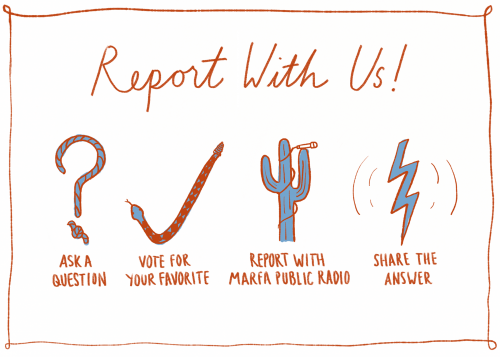 On this episode, we’re showcasing some of our favorite stories from “West Texas Wonders” – a journalism initiative where you ask, and we answer. You can submit a question or listen to all our the stories from the series here.